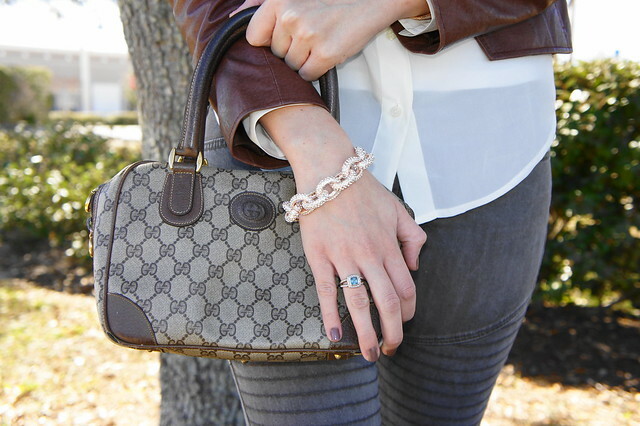 We had a chilly breeze this past Saturday, so I reached for my vintage fur with a quickness! I'm determined to get as much use out of it as I can!! I look forward to wearing it each year, and the past couple winters have been so mild. It's one of my fave vintage finds (and cost me under $20)!! 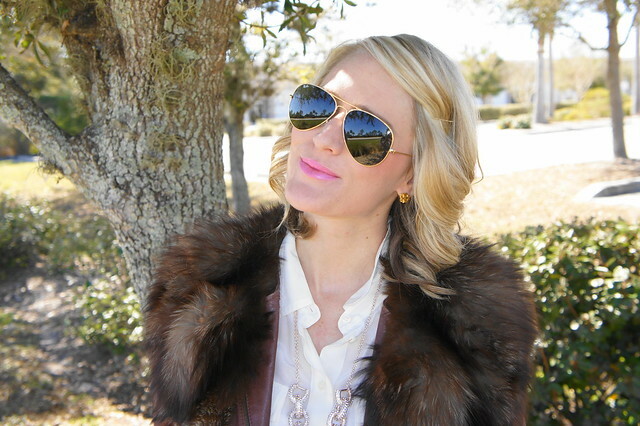 You can see some previous outfits worn with this vintage fur collar HERE, HERE, HERE, and HERE! Another item I was excited to wear, especially after having my baby girl, were these James Jeans moto skinnies. I've always been a fan of the moto jean and this pair had me at hello. Love the antique grey look to them. They match with practically everything! How do you feel about moto skinnies, are you a fan?? Would you wear them? P.S. On another note, how cute is this Fifi Lapin iPhone case?? So in love! You always look so glamorous!! Love these boots and jeans! That iPhone case is just too cute! Gorgeous jacket! I love the addition of the vintage fur to the look, too! Saw this look on your IG,and had to come check out the rest-- love that jacket! Awesome outfit! Cute phone case!